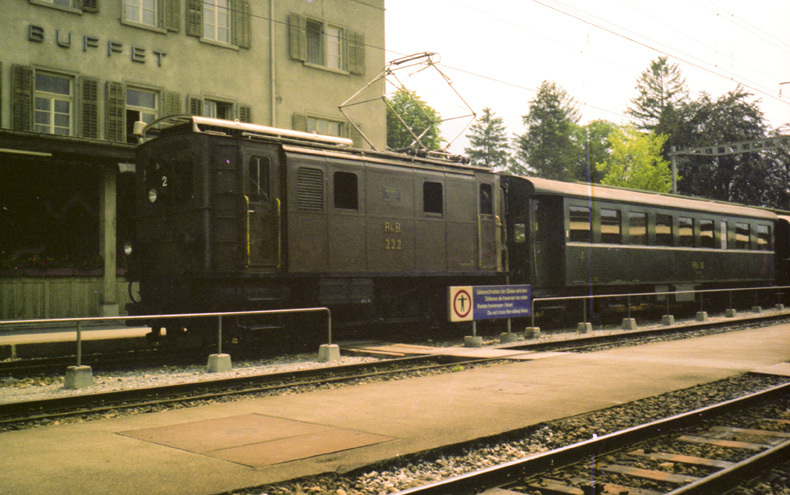 Seven examples of this light electric locomotive class were built in 1912-1913, originally for the newly constructed and electrified Engadin line. Having a top speeds of 45 km and only two powered axles they soon proved too light for the task. 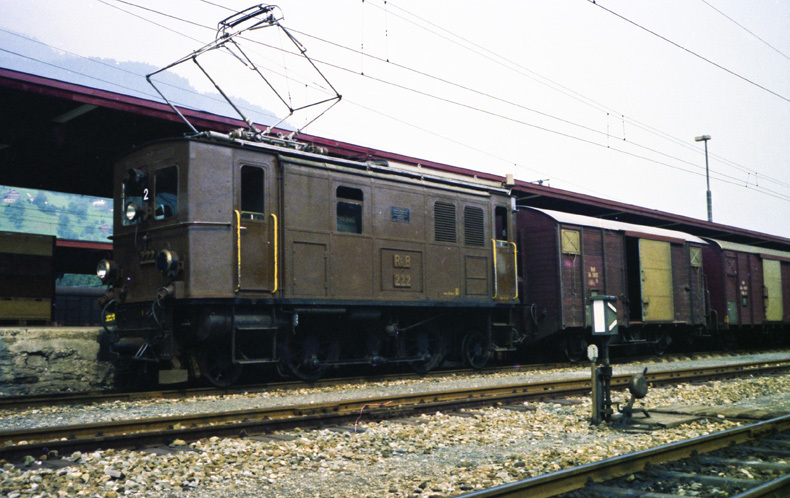 Three locomotives were reconstructed as shunters in the forties with a central driver's cab. No 221 was not outwardly altered but a refurbishment increased it power output. 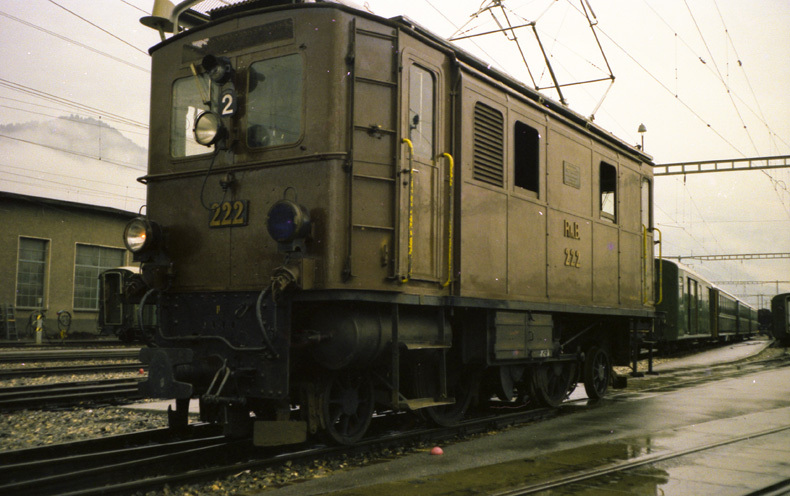 It was, with its twin 222, put too good use on the Abula line as helper locomotives. 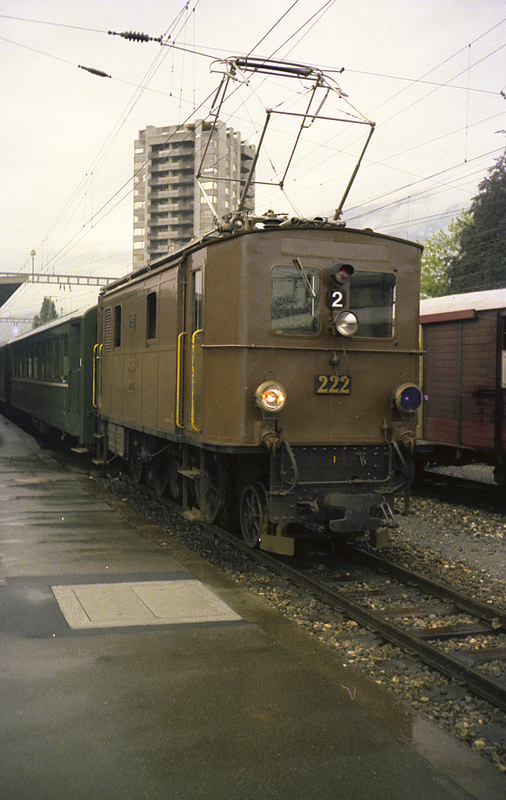 No 221 was scrapped as late as 1998, testifying very much RhB's negligance of heritage. Despite five other members of the class still in existence at the time it is no good to anyone selling an 86 year old loco as scrap metal. 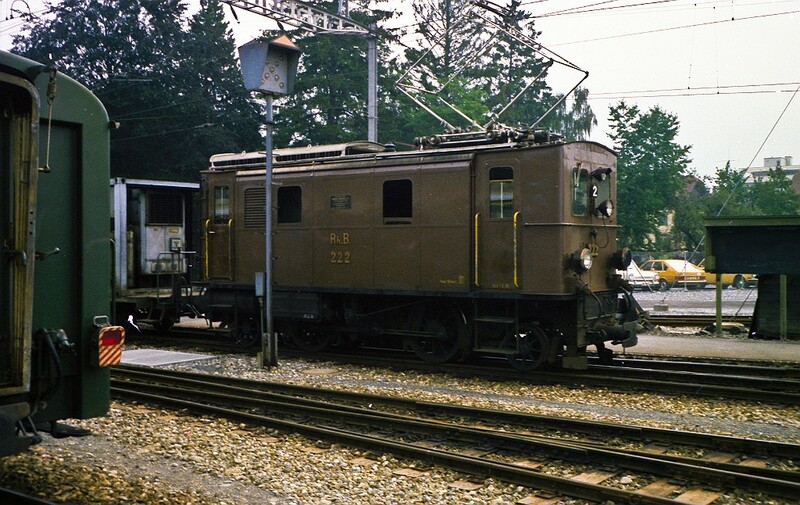 The same happened later to the rebuilt Ge 2/4 211 and to Ge 6/6 412, the latter as late as 2008!! Shame on you RhB!! See more of this tiny cutie.